You are the current highest bidder! To be sure to win, come back on 24 May 2018 10:48 BST Date Format as the lot closes or increase your max bid. Viewing: The lots for sale may be viewed on Tuesday 22nd May by appointment only between 9.30am and 4.30pm at: Wyles Hardy & Co., Ley Hill Road, Bovingdon, Hemel Hempstead, Herts HP3 0NW or relevant location. Car Parking: There is limited parking at Wyles Hardy & Co. Ley Hill Road, Bovingdon, Hemel Hempstead, Herts HP3 0NW. Please park in the road having a regard for other road users. Bidding Process: Bidding will end from 10am UK Time on Thursday 24th May [subject to the normal 10 min extension] at which time all highest bids will be considered. Non E.C. Purchasers: Purchasers must advise the intention to export their purchases on offer acceptance. VAT will be levied on all purchasers at the rate of 20%. Upon receipt of a copy of the Bill of Lading detailing the purchases, a full description of the goods purchased/exported (a simple description of “box/crate” is deemed insufficient) and confirming their export outside the E.C., the VAT will be refunded. VAT will not be refunded on the buyer’s premium under any circumstances, nor where the Bill of Lading is not received within 30 days of the date of invoice. If outside the 30 day timescale purchasers will need to liaise direct with HMRC. Payment Terms: All purchases are to be paid in full, no later than 4.30pm UK Time on Tuesday 29th May 2018. All queries regarding payment should be directed to our enquiries@wyleshardy.com, quoting AD1004. Clearance of Purchases: All lots must be removed by appointment between 10am and 4pm on Wednesday 30th May and Thursday 31st May 2018 from Wyles Hardy & Co. Ltd., Ley Hill Road, Bovingdon, Hemel Hempstead, Hertfordshire, HP3 0NW at the buyer’s expense. 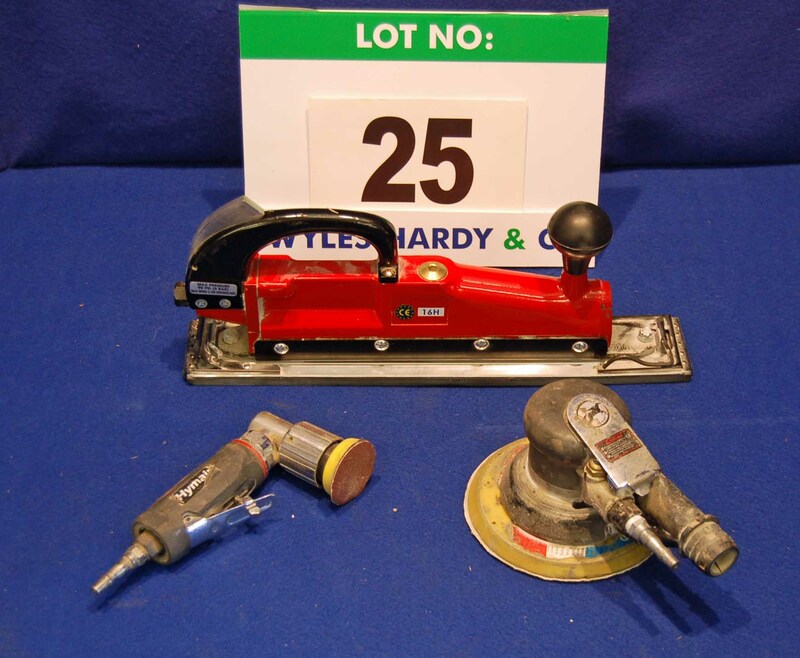 PLEASE NOTE THAT Lot 33 has no road tax, we recommend having a trailer to remove this; Lot 34 is unroadworthy and requires a trailer to remove this rolling chassis; Lot 35 has no axles or wheels – we strongly recommend viewing this Lot prior to bidding, and will require a Method Statement to remove this Lot. Wyles Hardy & Co Ltd do not undertake packaging, postage, delivery or shipment of goods and the bidder must make his own arrangements to comply with the clearance terms. Clearance of all lots must be undertaken in accordance with Health & Safety at Work Regulations and, where necessary, Construction Design and Management Regulations 1994. The purchaser should ensure that their contractors hold sufficient public liability insurance, copies of which should be made available to Wyles Hardy & Co Ltd if demanded. Provision of Services Information: Wyles Hardy & Co. Ltd’s (whose trading style is Wyles Hardy & Co) principal place of business is Ley Hill Road, Bovingdon, Hemel Hempstead, Hertfordshire HP3 0NW, Great Britain. Registered in England No. 2598566, Registered Office: 9 Bonhill Street, London, EC2A 4DJ, Great Britain. VAT Registration Number: GB579 1851 94.